Nothing gets me more excited to come home to a piping hot pan of macaroni, and now that one of my other favorite flavor is involved? Yes please. 1. Sauté chopped onion until fragrant. Add smoked beef, Oyster Sauce and cooking cream. Bring to a boil. 2. Add cheddar cheese and cook until the cheese melts. Let the sauce thickens before turning down the heat. 3. 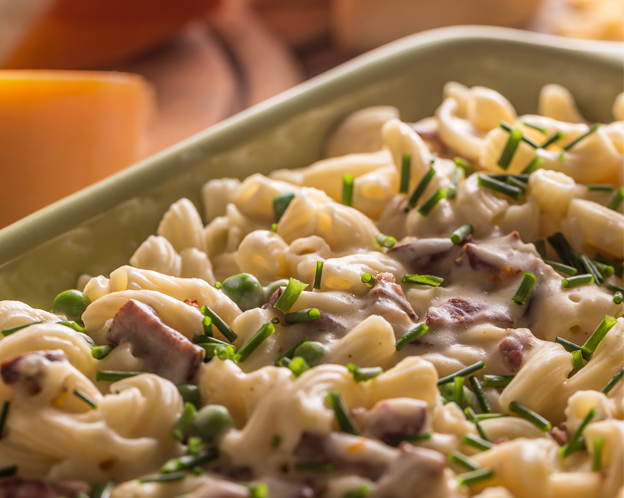 Add cooked macaroni into the mixture, season with salt and pepper. Garnish with chives if desired. Serve immediately. • Beef can be substituted with chicken or fish.